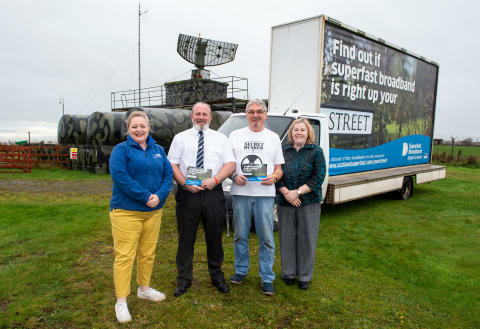 DSSB's Samantha Lindsay-Dorward, the Secret Bunker's Marc McConnell and Lindsay Meldrum; and Fife Council's Morag Miller unveil Fife's latest broadband upgrades. Kirsty Weir, PR/Marketing Manager at Scotland’s Secret Bunker, said: “It was a pleasure to join the Digital Scotland team to celebrate the availability of fibre broadband in Fife. It's good to see this project reaching more communities and giving an increasing number of homes and businesses the chance to connect to high-speed broadband.